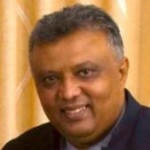 Dark days of racism witnessed under Rajapaksa rule TO BE REPEATED. The racist discards of the Rajapaksa era have opened a new front in their chauvinistic march to create further ethnic turmoil in our nation by desecrating the National Flag. The protesters against the Sirisena government are now carrying a new National Flag that does not have the Orange and Green stripes that denote the minorities in the country. This was witnessed at the protests held both on Parliament Drive on 21st April 2015 when Mahinda Rajapaksa was summoned by the Bribery Commission and the illegal protest in support of Gotabaya Rajapaksa on 23rd April 2015outside the premises of the Bribery Commission. This flag was first seen in some protests against the Muslims and other minorities that were organized by the Bodu Bala Sena (BBS) during the Rajapaksa regime. The following is the justification for the design of the National Flag as recorded in a number of Government sites: “The National Flag of Sri Lanka has been designed with great care and purpose. It not only represents the country and her heritage, but is a rallying device that integrates the minority races with the majority race”. 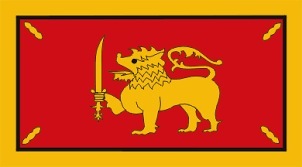 The lion flag lost its significance after the British invaded Sri Lanka in 1815. It was the Union Jack, which was hoisted in its place. When Sri Lanka gained her independence from Great Britain on February 04, 1948, it was the lion flag, which was hoisted once again. 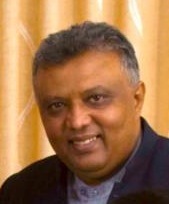 Udaya Gammanpila, the Western Provincial Councilor and leader of the Pivithuru Hetak National Movement was one of the main organizer of the protest outside the Bribery Commission in support of the former Defense Secretary, Mr. Gotabaya Rajapaksa. He not only defied a court order banning the protest, thereby liable to be charged for contempt of court, but also should be held responsible for desecrating the national flag, which is a criminal offence. He may not have carried the flag himself, but he should be held responsible for the goons who carried it as the organizer of the protest. As a lawyer, he should know better. Various persons have already made police complaints and immediate action should be taken by the Police to ensure that this menace is nipped in the bud. Most people tend to brush off these forms of racism as an insignificant nuisance, but the country witnessed a similar campaign of blatant racism and hate that was spearheaded by the Bodu Bala Sena (BBS), Sinhala Ravaya and Ravana Balaya with the support of a number of other racists groups and individuals that grew in to a national crisis. The hate campaign against the Muslims by Buddhist extremists was the cause of the violence in Aluthgama and Beruwela that destroyed the image of the country as it did during the dark days of the 1983 riots against the Tamil minority. The 1983 riot is considered one of the reasons that forced Tamil youth to take up arms to defend their community. The end of the 30 year armed conflict should be credited to the political leadership of the Rajapaksa regime and the military leadership of Field Marshall Sarath Fonseka and other commanders of the defense forces. Yet, the opportunities that were on offer at the end of the war for reconciliation was not made use of by the Rajapaksa government. President Mahinda Rajapaksa could have gone down in history as the person who found a permanent solution for all communities to live in harmony in Sri Lanka, but his Sinhala chauvinism destroyed that opportunity. The Sirisena government has taken some bold steps to stem the racist agenda of Buddhist extremists. The declaration that the national anthem could be sung in the Tamil language shows courage by President Maithripala Sirisena against the forces, which operate for narrow political gain. The need for decisive action against the new nexus of racists that has been formed by the discards of the Rajapaksa era is paramount. The Inspector General of Police should order the immediate arrest of any person or groups that promote racism or hate; failure to do so would drive Sri Lanka to the dark days of racism witnessed under Rajapaksa rule.